Are you in charge of managing the content of your website? If so, hats off to you! We know how time consuming the process can be – especially if your goal is to create content that actually engages visitors. So to help our content-managing partners out there, we’re publishing a series of helpful tips for making your content more accessible. Accessible content is more search engine-friendly. Search engines look for the same things that screen readers use, so when you make your site’s pages easier to read and understand for screen readers, you’re also making your pages easier to index. Accessible content IS THE LAW. Websites in Ontario must comply with the Accessibility for Ontarians with Disabilities Act (AODA). As of January 2014, organizations with more than 50 employees must ensure that their new public websites and content conform to WCAG 2.0 Level A Guidelines. While compliance isn’t necessary for smaller organizations, most are making efforts to comply with the best of their ability. 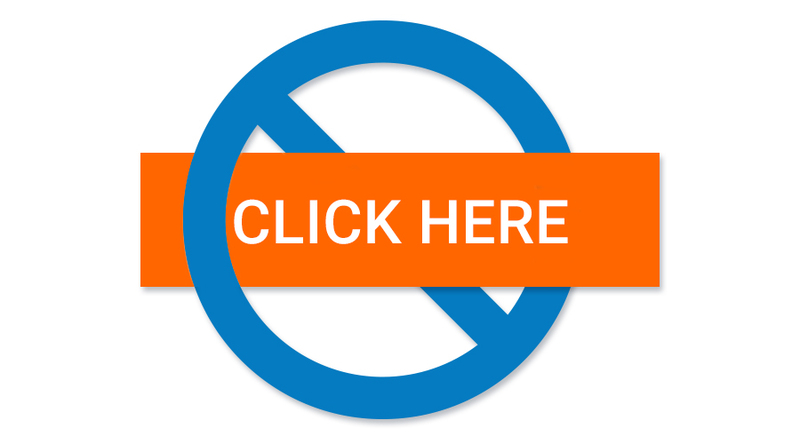 Descriptive text in the link gives context to both search engines and visitors; whereas a simple ‘click here’ gives instruction but no details about what will happen if someone clicks. More text makes a bigger target. As we age, our vision and coordination can be challenged by small targets. You’re creating a link that you want people to click – you’re not building a target practice. Try it for yourself and see; you just might get more clicks!